Hi all, Sarah here. 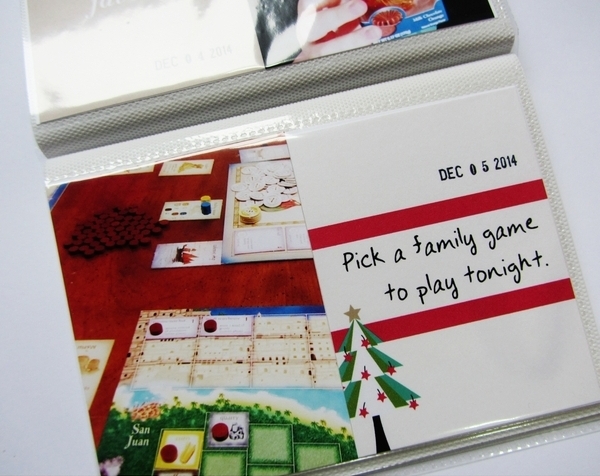 I fell in love with the 2014 Document Your December collection immediately and knew that I wanted to use it to create an activity advent calendar for my daughter this year. We did one a few years ago and we all had a blast with it, this seemed like the perfect time to reintroduce it into our lives. 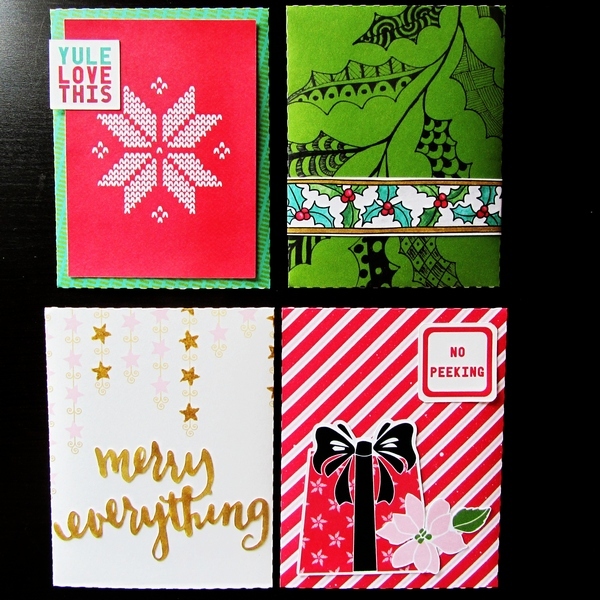 I began in November making these envelopes with the goodies from the collection. 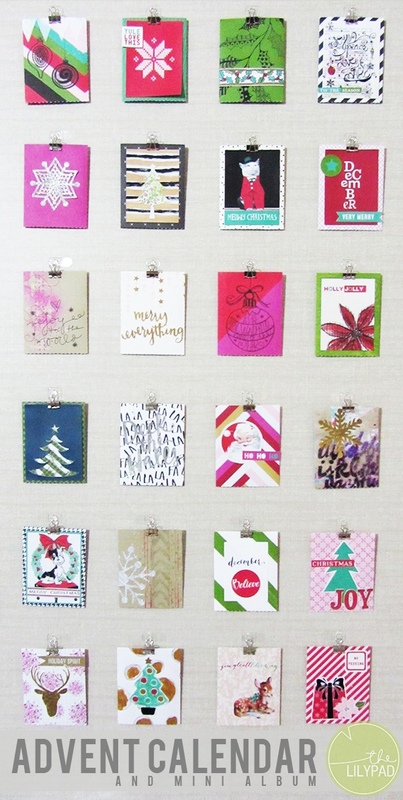 I created them on my Silhouette using an envelope cutting file from the Silhouette store resized to fit 3″x4″ journal cards. All in all I created 6 sets of these giving me 24 envelopes total. I was so happy with these I thought that they would be awesome doubling as wall art for a small wall in our living room. 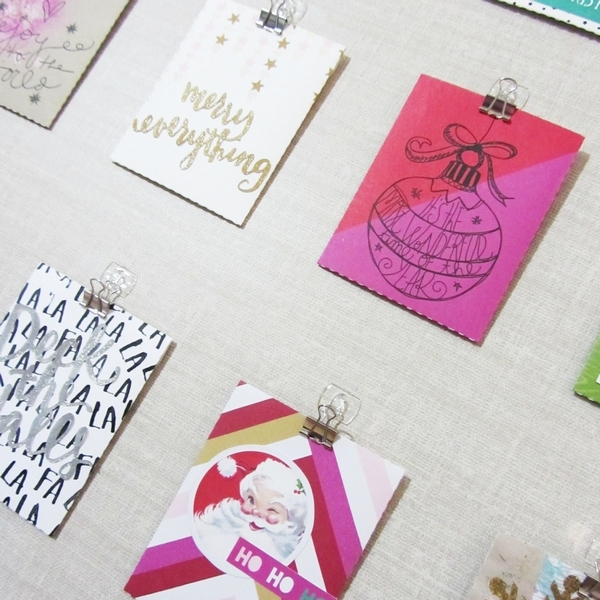 I bought some command clips (the type made for hanging lights) and some binder clips and proceeded to hang all of the envelopes. I didn’t worry about numbering them because I wanted to be able to reuse them either for another advent calendar or for gift card holders. Instead I printed a small arrow from Making Spirits Bright Elements by Sahlin Studio. For each day I create an activity card using journal cards from the DYD collection and The Sarah by Heather Joyce (I love having my handwriting in a font!). When I place the activity card in the envelope for the current day I move the arrow to that envelope and that way my daughter knows it’s ready to be opened. 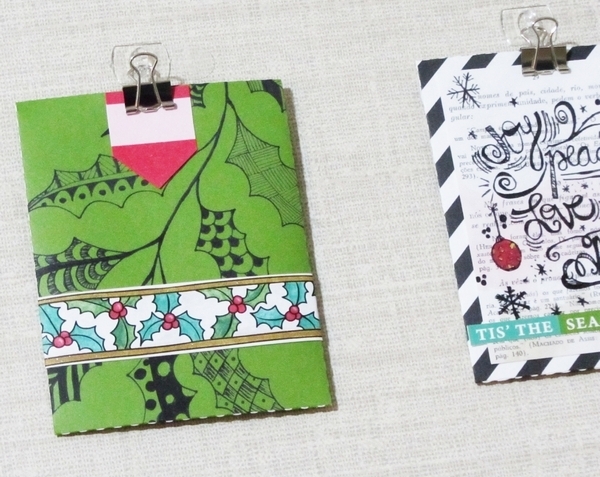 As part of this advent I decided to create a small mini album keepsake for my daughter. I decided to keep it as simple as possible so I bought this this inexpensive photo album and cut the title out from Valorie Wibben’s Pocket Stuffers No. 4. 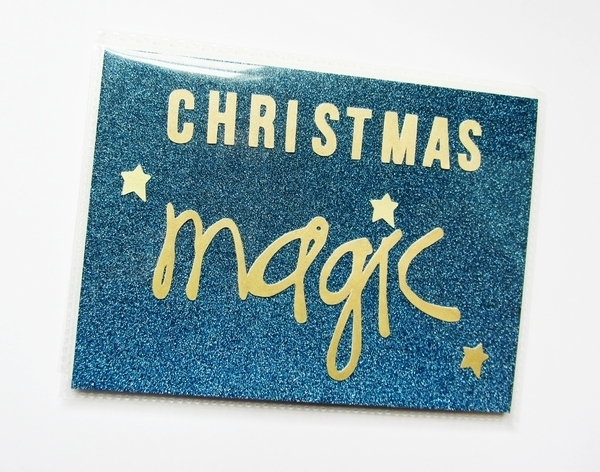 This cut out was done using a piece of gold paper from Laurie Ann’s Jingle Backgrounds pack. After I cut out the title I went over it with a clear Wink of Stella brush marker to give it some shimmer. The photo album came with the blue glittery paper for the cover. I decided to keep it because I loved the glittered background and I felt like it showed off the title really well. The best thing about these albums (other than the cost coming in at less than a dollar) is that there are exactly 24 pockets for documenting our advent season. When my daughter gets down the envelope she opens it up and we date it with that day’s date with a simple office date stamp. 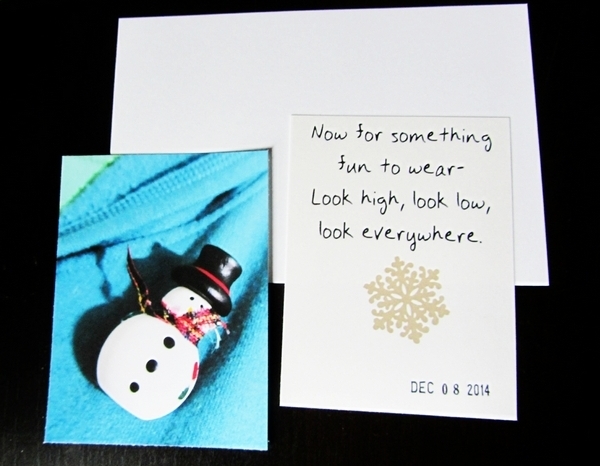 We then set the card aside and hang the envelope back up so that it can be enjoyed all season. For the album for each day I cut out a 4″x6″ rectangle from a piece of plain cardstock. 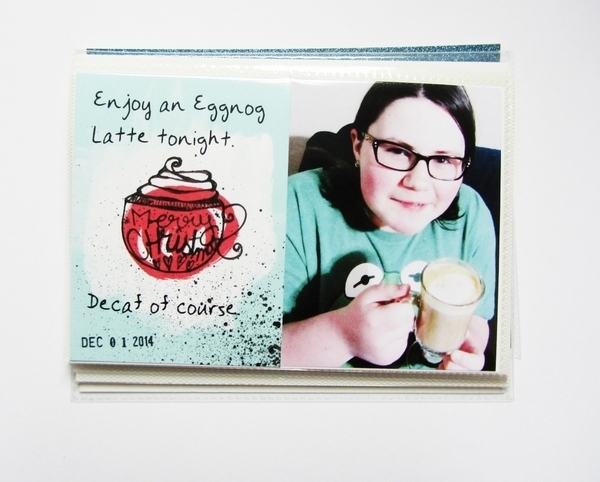 I place the activity card on one half of the cardstock and a 3″x4″ photo having to do with the activity on the other side. For the most part this tells the story of her advent activities. There will be a few that I will end up doing additional layouts of and of course some of these things will be recorded in my project life album, but I love the idea of her having a simple little album just for her advent activities. Here are a few pages from the album. Eggnog lattes are something that we enjoy as much as we can during the holiday season. It seemed like a fitting beginning to our advent. Not every activity is holiday related. We love playing board games as a family so for this day I let her pick out a board game to play together. And here are the cookies that my daughter made almost all by herself. They were delicious! 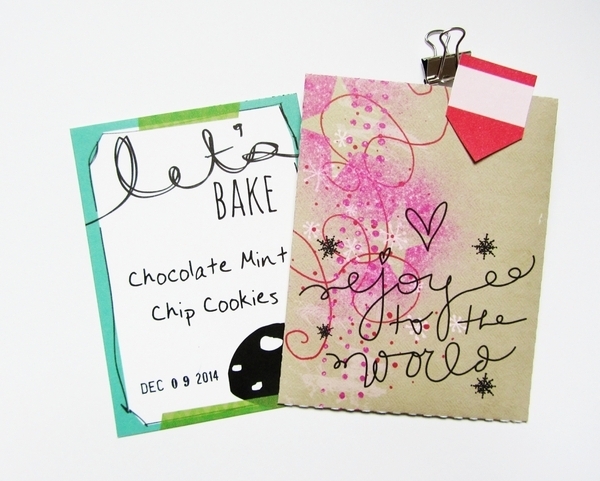 I just love the Bucketlist December cards by Laruen Reid. 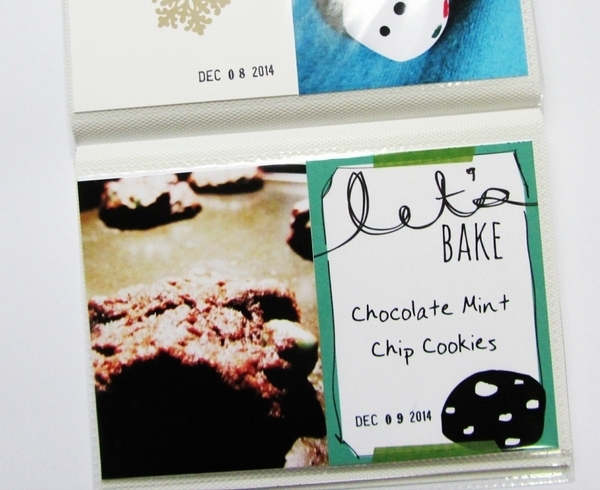 They are perfect for an advent activity calendar like this. My daughter enjoys opening her card each day. Sometimes the activity is just a little treat bought from the store, some of them are holiday traditions we would be doing anyway, and some of them are just things we find fun to do together as a family. As my daughter grows older I love still being able to provide her with this little bit of holiday magic. Oh my! This is crazy awesome!! OMG! What a cute thing to do. Oh my gosh! What a fantastic idea! I’m going to have to copy this one for next year. This is such a fantastic activity Sarah! I love the idea so much! wow! these are so cute cute cute! Now I want a kid so I can do this !